Not to put too fine a point on it, but Notorious is not a documentary in the strictest definition of the word. This isn't a warts-and-all look at the life of Conor McGregor. This is just another cog in the businessman/MMA star's money-making machine. 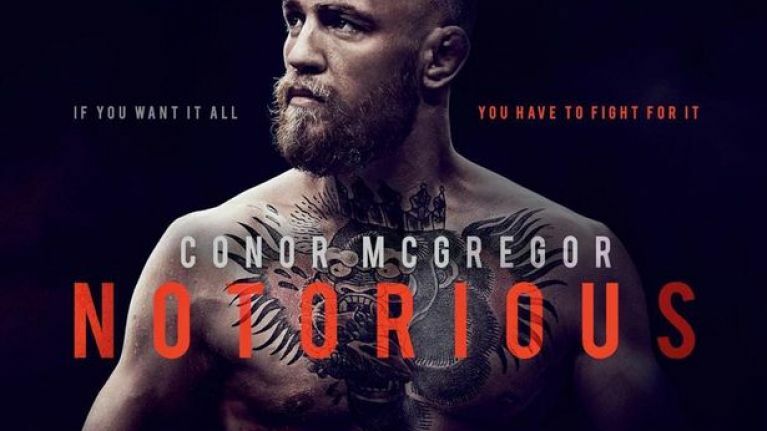 McGregor executive produced Notorious himself, which may explain why the film never, ever comes close to painting him in anything approaching a bad light. The timeline of the "documentary" doesn't include the Floyd Mayweather fight, nor anything that came after it, so much of the bad publicity of the last few months isn't seen here. The documentary does cover his bouts with Nate Diaz - whom he referred to as a 'Cholo gangster from the hood' - and Jose Aldo - whom McGregor threatened he would 'invade his favela on horseback' - but the way Notorious presents it, you'd swear none of that ever happened, and that McGregor is merely the lucky lad from Dublin done good. An interesting moment happens early on in the documentary, when McGregor is discussing with his girlfriend his very first fight, and how he was told he'd never fight again because instead of checking on his badly injured opponent, he was running around the place screaming and celebrating. "That isn't how we do things," he is told, in stark contrast to his demeanour in recent times when the fighter's braggadocio has threatened to turn toxic. Those flashes of interest are peppered throughout Notorious, but not nearly enough to balance out the rest of the mind-numbing workout and suit-wearing montages that surround them. 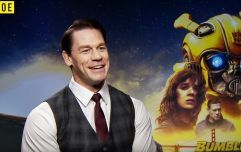 These include: A scene of McGregor so overwhelmed with emotion that he bursts into tears following a win; his genuine reaction to Arnold Schwarzenegger visiting his Las Vegas home; McGregor laughing at his own "weird voice" he puts on when he is being interviewed; some of the conversations with his girlfriend, ever the pillar of support as he is whisked from the gym to the airport to the photo-shoot. There are moments, but they are gone too quickly. Did you know that McGregor works out? Did you know that McGregor likes a nice suit? Because if you didn't, you will when this documentary is over. Like the flash clothing and the obsession with appearance, Notorious lacks depth. If there was any attempt to get inside McGregor's mentality, it isn't evident here. There is a quick conversation about "Just loving a fight," and another about believing he is the best in the world, but that is about as deep as we get with him. With McGregor not exactly giving up the goods himself - the closest we get to any kind of scandal is his reaction to an overly enthused fan letter - the director doesn't seem pressed in finding it elsewhere. Despite the camera being by McGregor's side throughout, do we ever find out why exactly he was so very late to that Diaz press conference? Nope. We're given the same traffic excuse as everyone else. Following a big fight win, we suddenly cut to 48 hours later, and McGregor is working out again. Impressive work ethic, but do we get to see how he celebrates? Nope. Any time the movie seems to be approaching anything that could be seen as shading McGregor in any way, we, the viewer, are given a quick time-jump, and we're on to the next workout session. Perhaps the biggest problem of all is the fact that this movie really should have come out before the Mayweather fight, because what is undoubtedly a landmark moment in his career, as well as modern sport history, is effectively given a title card at the end. There is just nothing here that McGregor fans don't already know or wouldn't have already seen in some way or another, except for prolonged montages at the gym or in his walk-in closet. And non-fans of McGregor will find even more here to remain that way, as his ego goes completely unchecked throughout, casually tossing off an interview on Jimmy Kimmel as "alright". Everything throughout is seen as little more than a way to make more money, and it works, because he is now worth tens of millions. And Notorious will add to the Scrooge McDuck pile of gold, as his fans will arrive no matter what the reviews say, no matter how racist or homophobic he is. McGregor will always have his defenders who will just say that it is part of the sport. Notorious is a product, designed to make money, nothing more. When describing the Mayweather fight at the end, the title card says something along the lines of "McGregor fought the greatest boxer of all time, and lost in the tenth round." A triumphant defeat, you might say. Notorious, on the other hand, will most likely be a bleak victory, as his fans continue to bankroll him for the foreseeable future.